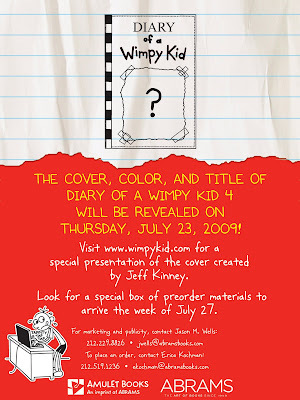 Mishaps and Adventures: WIMPY 4 "The Big Reveal"
of the title, color, and cover of Diary of a Wimpy Kid 4. Also, I have to tell you I read The Big Splash from the picture at the top of your blog. So far my favorite book of the summer! 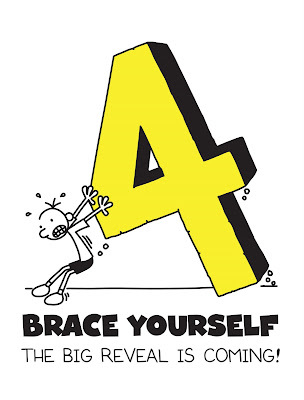 I hope there will be more mysteries for Matt to solve in the future!! Also, I wish I had your job. It looks like so much fun!